UK car manufacturing seems to have gone backwards in April. as the production rate fell at the fastest level for more than two and a half years Experts said that this echoed a 20% drop in new car sales, but the overall outlook is positive. 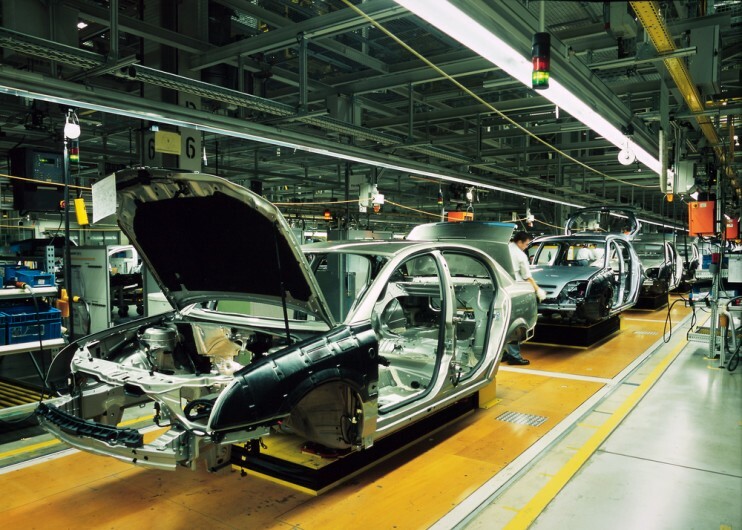 According to the Society of Motor Manufacturers and Traders (SSMT), 122,116 cars rolled off the production line in April, making it 18% fewer than in April the previous year. The later than usual timing of Easter is what is being held responsible for the cause of the sharpest fall in production rates for two and a half years. As well as car production being down, it mirrors that of new car sales. New car sales fell 20% in April compared to the same month last year, as cuts by the Government to subsidies for green cars and a rise in prices has hit demand. Last June, the UK car industry voted to remain within the EU, with worries that once Britain leaves, tariffs could be imposed for those importing parts from the EU. In the event of a “hard Brexit” that Theresa May has stated she prefers, the total cost of manufacturing and assembling a car here in the UK could increase by as much as £2,370. As a result of this possible outcome, some manufacturers have looked to moving production out of the country, according to a survey. On average, a car built within the UK has roughly 6,000 different parts, with the majority being imported from within the EU, while passing in and out of the country several times during that process. Within the first four months of 2017 almost 600,000 cars were built in the UK, which is up 1% on the previous year. Six months into the year, that number is bound to have increased significantly. This demand is being driven by foreign markets, and demand has increased here by 3.5%. The number for cars built for the home market fell by 7%. In 2016 alone, roughly 1.7m cars were produced in Britain and by 2020, the SMMT believes this number could even surpass the 2m mark. This would break the previous record set at 1.92m in 1972. The UK boasts some of the biggest brands in the car industry, with the likes of the Nissan, Jaguar Land Rover and the Mini, all manufactured (or at least in part) in different regions across the UK.